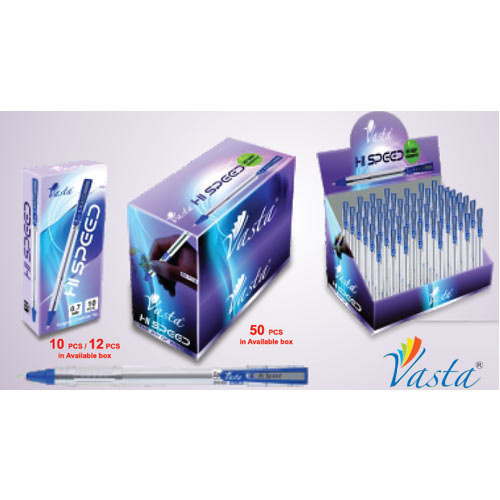 International Quality Ink made from latest Technology to give smooth smudge free writing. Tungsten carbide tip gives high Resistance to Corrosion, Great Strength and high conductivity. Incepted in the year 1994, VASA RETAIL AND OVERSEAS LIMITED is a well established Manufacturer, Exporter, Wholesaler, Trader, Buying House, Retailer and Buyer-Company of Filling, Organizing & Storage, Notebook & Pads, Labels, Envelopes and Packing Materials, Writing Instruments, Desk Top Essentials, Art and Craft Supplies, Pantry And Cleaning Supplies, Indian Handicrafts and Fragrance Products, Brass Products and Hardware Supplies. We are highly quality concerned and manufacture our products using best resources and high quality materials. Within these decades, we have successfully increased our varieties to cater the rising demands of our clients. Our business network is very strong and distributed all across the nation. With our best policies and beneficial market range, we have maintained huge clientèle with several leading business firms.